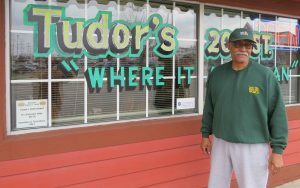 Michael Thomas lists two of his most noteworthy business accomplishments as Unlimited Future and Tudor’s 20th St. Biscuit World. As one of the founding directors of Unlimited Future twenty-five years ago, he knows the challenges of building and sustaining a vision. He looks with pride on Unlimited Future’s history of helping new businesses succeed through training, mentoring and support. He was part of the first business training course at Unlimited Future and credits his training with developing his talents for success. After a successful career in industry, Michael had an opportunity to acquire a business of his own. Tudor’s Biscuit World was available. It was Tudor’s original location and the beginning of a well-known chain of restaurants. Working with Unlimited Future and others in the community, they bought the business, and today, the progress is evident. A constant stream of customers move through the neat dining room (and the drive-through!) and enjoy their meals with courteous service in pleasant surroundings. Michael received training at Unlimited Future to prepare him to meet the challenges of running a business. Today, he is the owner of a business that has grown 400% since that beginning in 1997. He points to the contribution of ten loyal employees as a factor in the long-term sustainability of the business. 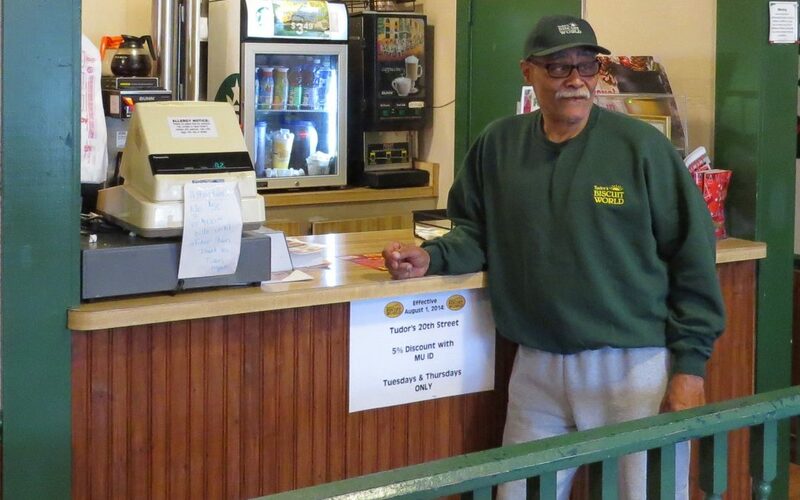 Unlimited Future is proud to feature Michael Thomas and Tudor’s 20th St. Biscuit World as a Business of Note.